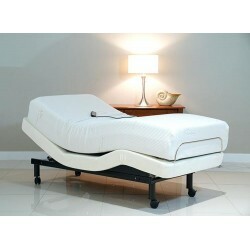 King Split - 2 x 3' x 6'6"
Queen Split - 2 x 2'6" x 6'6"
Adjustable beds have become increasingly popular over the last decade. They come in a wide range of designs and can change position at the touch of a button. 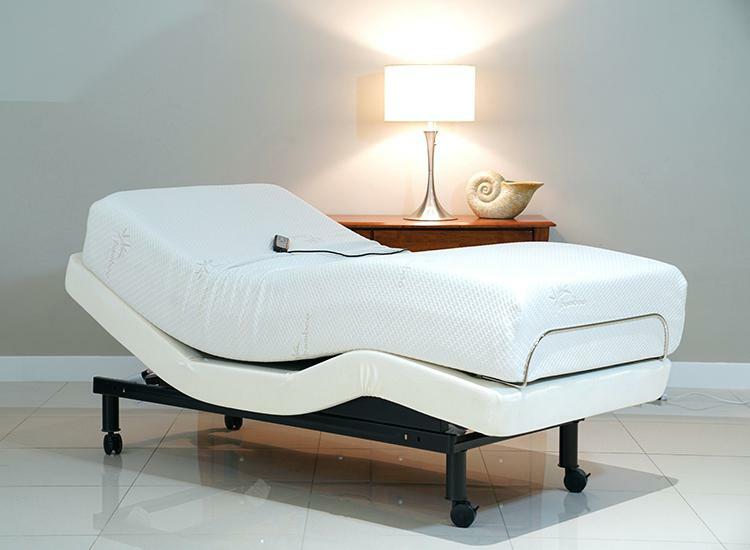 Electric beds add extra comfort with accessories like heat massage and can be a great help to those who struggle to get up or into bed. Bed sizes for adjustable beds can vary quite a lot depending on the size and the make of bed. We make all our bedding in house at our Lancashire factory. Our sheets and protectors are made extra deep to fit and stay on the bed when it moves no matter what your sleep position. We've made bedding for adjustable beds for over 20 years using the best easy care & 100% cottons. We even make specialist adjustable bed valances and valance sheets if required. Select by your bed size below or use the filters on the left and scroll down to see all our range. Our friendly call centre staff our on hand and ready to help with any query. Small Single Fitted Sheets in Poly CottonFitted Sheets to fit 76 x 191cm bedsAvailable in 11 colours..